TennisReporters.net will review 2017’s top 30 women and men, our annual feature. When the Aussie is into it, he is about as good as he gets. Nick has a tremendous first serve, huge forehand, good slice on the backhand and is pretty good when he is at the net. The big downsides are he doesn’t want to play hard all the time and he gets hurt frequently. Then, he disappears. Look, it’s all about him. Nick is very young, but he needs decide if he really wants to be a tennis player. I have no idea what Nishikori is going to do in 2018. Just like Raonic, I really though that the now 27-year-old Kei would get better and better and eventually will win a major. Or even win an ATP 1000. But, he gets hurt constantly. Sure, he is a fantastic player when he is into it, but every time deep in a tournaments, we start thinking, “Is he going to retire tonight, because his body is about to collapse?” I hope not, but he has to figure out how he can adjust his frame to the hard rigors of pro tennis. The 29-year-old Spaniard had a fine year. Sure, it has taken a long time to figure out the hard courts, but still, now he is willing to move forward and he can mix it up whenever he can. He needs to push himself even more, with his backhand, especially. A few years ago, I was pretty sure that he was about to win Grand Slam. He came close, reaching the final at Wimbledon, bu,t as he says, he gets hurt all the time. I mean, almost every second. That’s why in 2018, he has to stay healthy for the entire year. On court, when he’s 100 percent, he has become so much better, especially with his backhand and at the net. 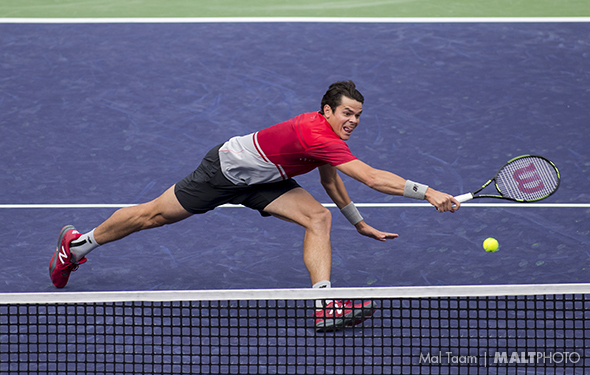 If he keep focused and not overthink, the 26-years-old Raonic can actually win a major for the first time. Imagine that. The 34-year-old had a very good year. It has taken, what, 15 years before he realized that, in order to win a tournament, he had to stick with a strategy and not panic. In 2017 he won his first ATP title – ever – in Sydney. He is very tall, he loves to come into the net and while he isn’t that fast running, he focuses. Maybe he can reach the semi at a major in 2018. He would be thrilled.